“Out with the old, in with the new” isn’t as simple as it sounds. As technology continues to evolve and businesses incorporate the newest equipment to provide a competitive edge, there is a growing need for the proper disposal of e-waste. Electronic waste, also known as end-of-life (EOL) electronic devices, includes everything from televisions to flashlights, CD players and VCRs. Large and small appliances, as well as cell phones and some toys, also are considered forms of e-waste. In the office setting, some of the most common examples are computer monitors and towers, printers, phones, keyboards, calculators and lamps. Although there are services that refurbish, recycle or safely dispose of these items, a large amount of e-waste still ends up in a landfill. In fact, the U.S. Environmental Protection Agency estimates that 60 percent of discarded electronics end up in the trash. There are multiple reasons why you should reconsider throwing electronics in the trash. Here are just a few that may impact your business and community the most. Many electronic devices contain hazardous chemicals. If they aren’t disposed of safely, those chemicals can pose a safety hazard to people, animals and the environment. In addition to contaminating soil, hazardous wastes can pollute the air and leach into water sources. For example, in California, the law views non-functioning cathode-ray tubes (CRTs) from TVs and monitors as hazardous materials. These tubes are used to create images on a screen. They are considered hazardous because they also contain lead. Here are a few other examples of the hazardous waste electronics hold. Leaded glass: Computers and television screens contain leaded glass, which is a poisonous heavy metal. Cancer-causing elements: Batteries carry explosive and cancer-causing elements such as cadmium, lithium and lead. Mercury: Some appliances like gas hot water heaters and chest freezers contain mercury switches. When mercury isn’t properly disposed, it may create serious health issues such as respiratory and skin disorders. As a business, you’re subject to local, state and federal regulations regarding e-waste disposal. California, for example, has several laws that address e-waste from items such as computers, cell phones and CRTs. Not following these regulations can result in serious fines that could be catastrophic to your company. In 2017, for example, national retailer Big Lots had to pay more than $3.5 million in California to settle allegations it had improperly disposed of e-waste in a landfill. A certified technician will know the safety and legal regulations that must be followed. Different electrical units may call for different handling procedures. Many people forget that when they throw out electronics, they may open themselves up to security risks. Computer systems, smartphones and tablets may hold sensitive data. 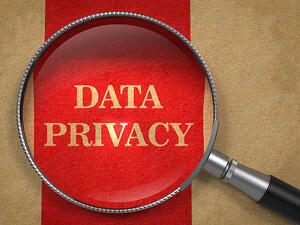 If that data ends up in the wrong hands, your business could be at risk. Although many think by “trashing” their files is effective, measures like erasing or even overwriting can’t ensure complete removal of data. Larger companies have found data breaches to be especially costly, with the potential of fines and lawsuits as a consequence. Check with retailers: Some retailers will take back old electronics you purchased at their stores, especially if you purchase new items to replace the disposed ones. In California, retailers play an active role in ensure electronics are recycled. On new purchases of electronic items, the government imposes an Electronic Waste Recycling Fee that is then used to pay for recycling of the products in the future. Donate to charities: If the product is in good condition, many charities and senior facilities accept electronics as donations. Find a certified recycler: California approves e-waste recyclers through a certification process. These sites accept various pieces of equipment, though it’s important to check with each individual site before dropping off electronics. Use a disposal service: Electronic waste disposal services are perfect for companies that have several pieces of outdated or unusable electronic equipment. This type of disposal service does all the work for you, from picking up the equipment to ensuring it’s recycled properly or disposed of following local and national regulations. 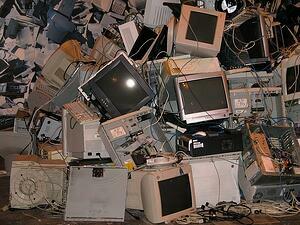 For more information on recycling tips, read our article, How To Recycle Electronic Waste. Improperly disposing e-waste not only harms the environment; it poses other serious consequences as well to your business. With the help of a professional experienced in electronic waste disposal, you can protect the environment, meet your city and state’s regulations, and ensure the safety of others.